Ceres farm Boland Stud has bred many champions and top class horses over the years, with the roster of high class performers to have been raised at the farm including top sprinter and leading sprint sire Harry Hotspur. However, arguably the finest thoroughbred, as yet, raised at Boland Stud was the late, great Senor Santa, who passed away in 2014 at the ripe old age of 29. The chestnut, who raced for owners Messrs F.P. and H.J. 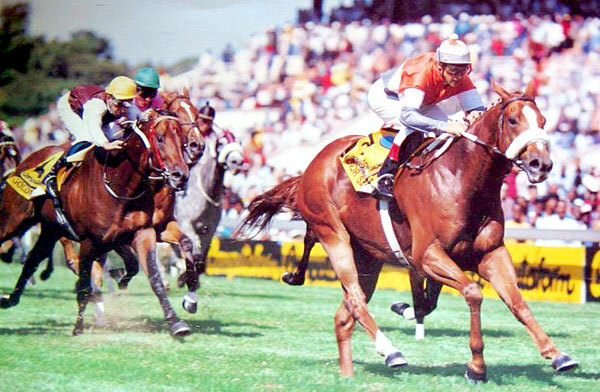 Cawdry, picked up three ARCSA awards during his illustrious career –South Africa’s Champion 2YO Colt of 1987, the gelding would go on to be named Champion Sprinter in both 1989 and 1990. First trained by Tony Rivalland, before Willie Pieters took over, Senor Santa made history in South Africa when he became the first top sprinter to earn over R1 000 000. The durable champion, who raced successfully at the highest level from two to eight, won 15 races and over R1.7 million during a career which saw him face and defeat such outstanding performers and G1 winners as Blue Cossack, Goldmark, Harry’s Echo, Miss Averof, Roland’s Song, Simonside, Speak No Evil and Cape Guineas winner St John’s Wood and record breaking Queen’s Plate winning filly Wainui. Senor Santa’s wins included no fewer than seven at G1 level –this tally included the G1 Smirnoff Plate, G1 FNB 1600, G1 Star Sprint (twice), G1 Computaform Sprint (twice) and the G1 Natal Flying Championship (now the Mercury Sprint). The champ also made history when taking on his paternal half sister Northern Princess in a match race over 1600m, and, while the filly won thanks to an inspired ride by Michael Roberts, Senor Santa proved doubters wrong by showing he stayed the mile trip. He won from 1000m to 1600m, and won at five different racetracks – Clairwood Park, Gosforth Park, Greyville, Scottsville, and Turffontein. The champion, who sported a truly wicked turn of foot on his day, ended his days, as a “babysitter” for weanlings in the glorious surroundings of Summerhill Stud where he remained a public hero until his death. The champion’s legendary status resulted in Turffontein naming a race after him –with the G2 Senor Santa Handicap currently rated among the top sprints in South Africa. Summerhill Stud’s Mick Goss paid tribute to the champion when he passed away by saying, “Senor Santa’s story is straightforward: he earned his place at Summerhill because he happened to be the best racing son of the best stallion ever to stand here. 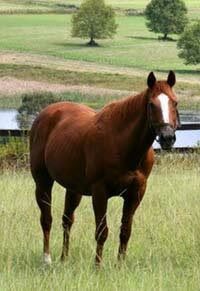 Dr Frank Freeman, of Boland Stud, remembers the champion in a different way, ““Senor Santa had an amazing temperament. When I would go down to the stables at night and turned on the lights, all the yearling would get up, but Senor Santa just continued sleeping! Arguably the finest son of former champion sire Northern Guest (a full brother to European champions El Gran Senor and Try My Best), Senor Santa was one of eight winners for the two time winning Mexico II mare Mexican Charm. The latter proved a real treasure trove for Boland, with Mexican Charm’s other notable progeny including G2 Natalia Stakes winner Magic Model and stakes winners Above The Law and Rock Candy. With her descendants including the likes of G1 winner Flight Alert, G3 London Guest, Dubai based performer Pylon, and G3 winning 2yo Wheredowego, Mexican Charm certainly rated as one of the finest matrons of her time. A fairy tail or a legend? On a lovely warm summers night in Ceres the Valley Of Champions Mexican Charm foaled down a beautiful colt. Dr Frank & Tanya Freeman named him SENOR SANTA CLAUSE! What an appropriate name it was! 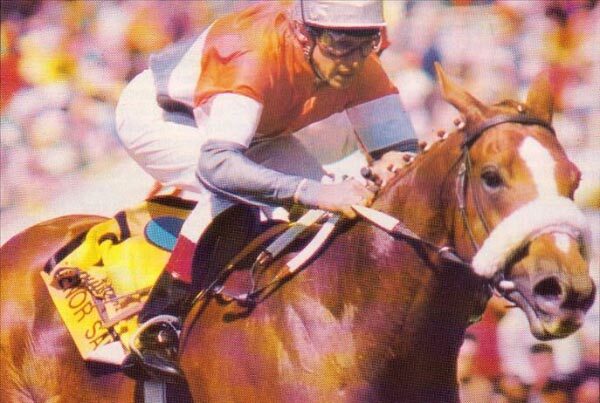 SENOR SANTA was ARCSA Champion 2YO Colt in 1988; Champion Sprinter In 1989 and 1990. Winning 15 races including Six Grade 1’s! and R 1,770,515.00 in prize money. That is equivalent to +- R 14,412,478.88 in today’s money! From all of us at Boland Stud we wish you a Happy New Year! May 2012 bring you joy, prosperity, dreams, legends and above all a horse that inspires passion! 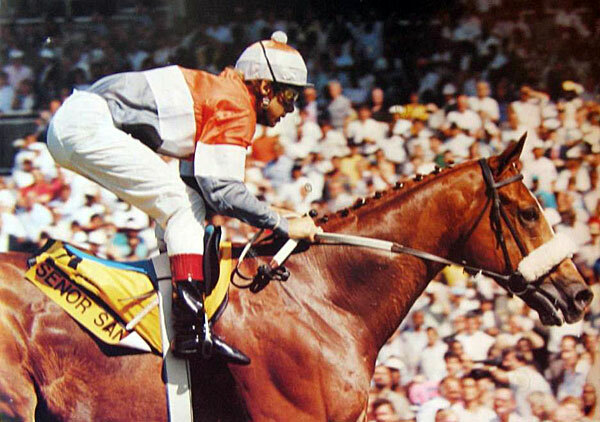 SENOR SANTA – One of the best sprinters South Africa has ever seen! The first match race to take place in South Africa for twenty years. 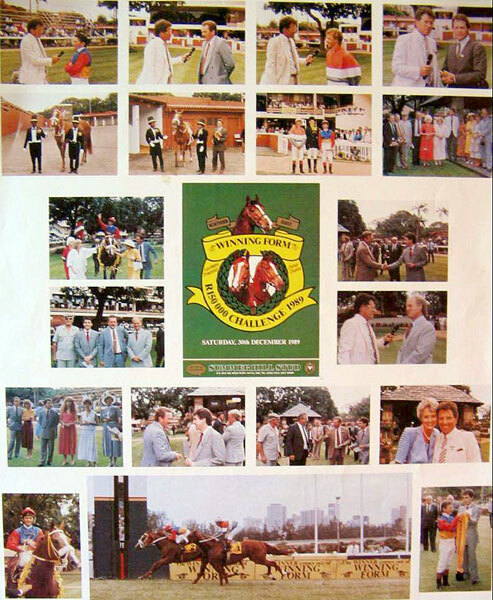 At the time the crowed attendance was second only to the Durban July! SENOR SANTA winning the Computarform Sprint (Gr. 1) for the second year in succession!